As it is coming to the end of the VAT quarter again, I thought I would make a list of the five things that I check regarding each VAT return. The list is not intended to be comprehensive, and we are not providing any accounting advice, rather this is a list of the items that I check. If like us your accountant produces your VAT return, you will still need to check that the figures are correct. Firstly, I reconcile our bank account back to my accounting figures, to ensure that all of the items that have gone through our bank account have been captured in our accounting records. This ensures that both items of income and expenditure, that may have VAT elements, have been included. I check that the output VAT, the VAT element of all sales invoices, has been correctly totalled and included within the return. I also run a quick check to ensure that the VAT relates back to the volume of invoicing that we have raised. This ensures that there is a sanity check to capture any items that may have been missed. You need to be careful though if not all of your sales are subject to VAT. Next I check the input VAT, adding up the VAT elements of any qualifying expenditure which we can offset against the output VAT. I also make a point of looking through the various supplier’s accounts that we deal with, to ensure that all of the invoices have been included. When it comes to making the VAT payment, there are a number of items that I check. Firstly, I confirm that the right HMRC payment details have been selected. If like us you use banking software that gives you the ability to select suppliers from a list for payment, you may well have several entries for HMRC in respect of different types of tax payment. Therefore, you need to be careful when making the selection. I make a point of checking the bank sort code and account details to confirm they are correct. Within our banking software, the VAT number, which constitutes the reference number for the payment, is already pre-populated. If this is not the case, you would need to be careful to ensure that it is correct. An incorrect or missing reference could delay allocation of your payment. I also check that I have copies of all the documents that relate to both the sales and purchases shown on the return. Checking these includes making sure that they each have the relevant VAT amount itemised, and that they show the VAT number of the supplier. If you are worried you could have problems paying your VAT this quarter, or you have arrears, there are ways of raising finance for your business in order to assist you. The key is to start the process as soon as possible, rather than delaying, or hoping that payments will be received from debtors in order to meet your VAT liability. 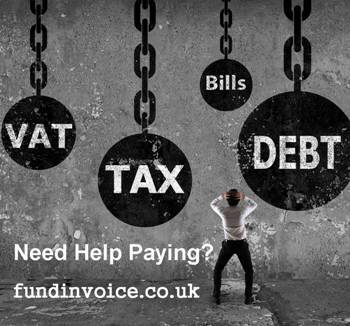 We offer a free business funding search service and we will be happy to help you raise money for any purpose, including payment of VAT.